A few weeks ago I finally finished my Pokeball Cork boards. After staring at them a bit, I decided they needed to have some Pokemon Themed Thumbtacks to go along with them. 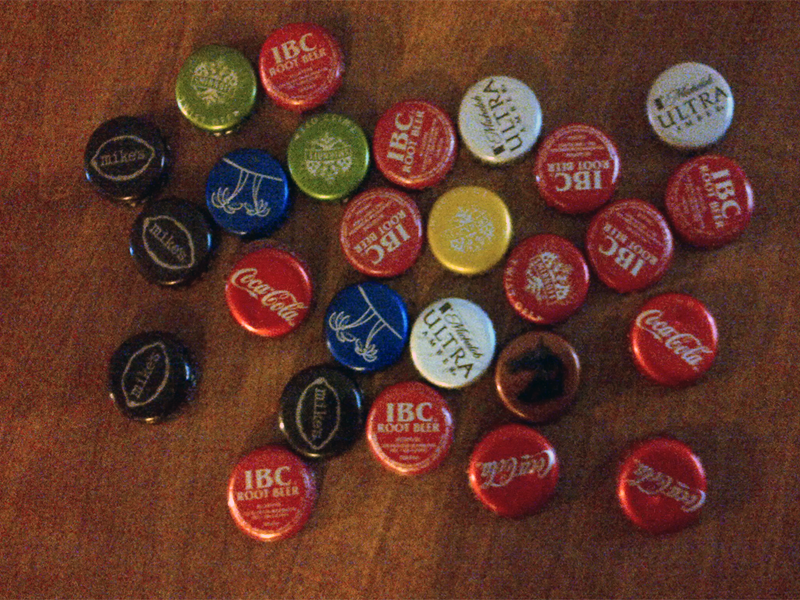 I have a collection of bottle caps that I have been wanting to do some crafts with. After thinking about it a bit more, and surfing Pinterest in my spare time, I had some inspiration to create Minimalist Pokemon Thumbtacks. I originally planned to create thumbtacks that had a Pokemon battle trozei look of all the starter Pokemon….Needless to say that did not work out as planned. I created a Chikorita thumbtack, and disliked how it turned out. Thanks to the help of my friends, I found a much better solution to my little problem. Some of you might remember or still play the Pokemon cardgame. In it, there are symbols for most of the types of Pokemon. 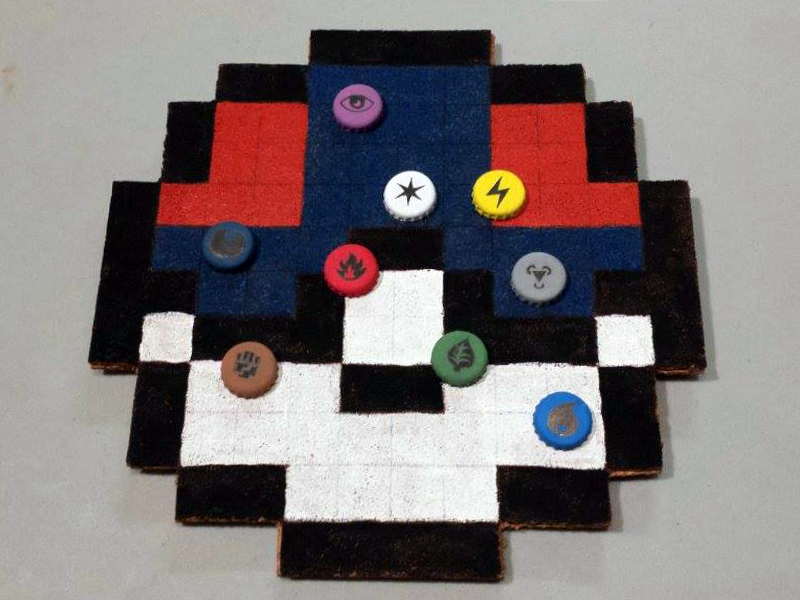 Below is a little Tutorial on how to make your own set of Bottlecap Thumbtacks. Superglue the spare cork board pieces to the bottom of the bottlecap. Then superglue the thumbtack to the cork board. Let this dry for a bit. Paint the bottlecaps white. Let this dry for about 5-10 minutes. Be careful with the thumbtack. Try not to poke yourself with it. Keep putting on layers of white paint until you can’t see the design on top of the bottlecap. Make sure to let the layer dry before you put the next layer on. Paint the color you want the bottlecap to be. 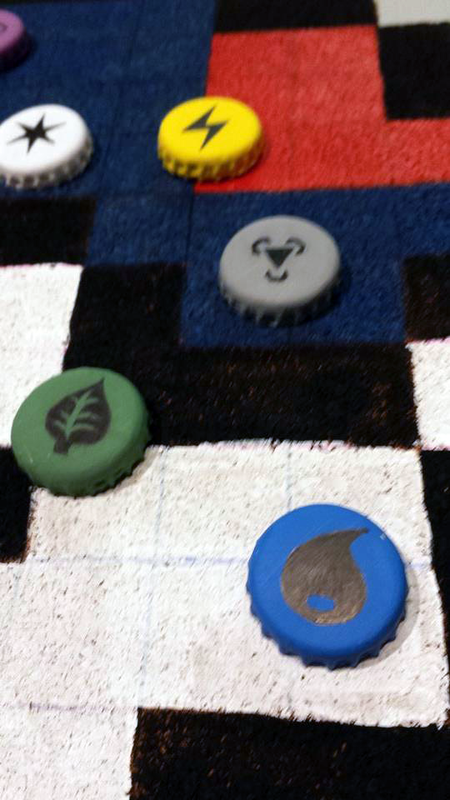 Using the Artist pen, draw the design on the bottlecap. Putting the thumbtack on before painting makes it easier to paint the bottlecap if you hold the thumbtack carefully. Do not give up on an idea. So what if you’re first idea for a set of materials does not work? Just walk away from the project for a bit. Maybe surf the internet until inspiration hits. Just do not give up. I hope this project helped inspire you! What is your favorite element? Excellent! They look so cool!